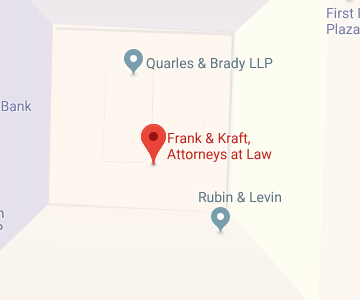 Frank & Kraft provides help to people of all ages in Greenfield, Indiana who need assistance from an elder law attorney. Elder law attorneys don’t just represent senior citizens. We help everyone who wants to plan for the future, protect their assets, and provide for loved ones. This can include young families, as well as individuals going through life changes and people reaching their senior years. Our firm will provide comprehensive assistance with preparing for incapacity and addressing end of life issues; taking steps to keep your assets safe and secure; and providing for your loved ones after you are gone. We can also help you to understand benefits and services you can take advantage of as a senior and can assist you in learning about laws that could affect your rights as you age. To find out more, give us a call today. You can also read on to learn about some key senior services in Greenfield that could be helpful to you. As you get older, you may need to take advantage of services that help you remain independent and that make it possible for you to maintain social connections within your community. You can find out about senior services in Greenfield, Indiana by visiting the website of Hancock County senior services. There may come a day when you are no longer able to rely on free or low-cost community-based services. Frank & Kraft can help you to prepare to get Medicaid to cover the costs of long term care at home or nursing home care in an institutional setting if that happens to you, so give us a call today. Another important service elder law attorneys provide is helping you to prepare for incapacity and helping you to plan your legacy. By putting advanced plans in place in case you become incapacitated and unable to make decisions on your own or manage your own assets, you can ensure your loved ones do not have to go to probate court to get a guardian or conservator named. You can also take steps to keep your family out of probate court after your death by facilitating the transfer of assets through other means. Sometimes, however, going to probate court is necessary because your loved one has become incapacitated or passed away without putting probate avoidance plans in place. If that’s the case, the probate court for Greenfield residents is the Hancock County court. You can find out information about this court and details about the probate proceedings by visiting the court’s website. Elder law attorneys take proactive steps to assist you in protecting your wealth. One of the best ways to keep your assets safe and secure as you get older is to make a Medicaid plan. A Medicaid plan allows you to qualify for means-tested Medicaid benefits without impoverishing yourself so Medicaid can pay for the costs of nursing home care or long-term care at home if you need it. The website for Indiana Medicaid: Find out here about qualifying requirements and eligibility limitations to qualify for Medicaid. Medicare’s website explaining the rules for Part A coverage for nursing home care: You can see the limited circumstances under which nursing home care might be paid for. In most cases, it won’t be covered unless you need skilled nursing care. Frank & Kraft will assist you in determining if you need a Medicaid plan and in putting plans in place. These resources listed above will also help you to get an understanding of how Medicaid works for nursing care. The Department of Revenue for the state of Indiana: As the Department explains, inheritance taxes in the state of Indiana have been repealed. Inheritance taxes do not need to be paid by heirs or beneficiaries any more, and the estate does not owe estate tax to the state of Indiana. The IRS estate tax website: You can find out here what size estates are exempt from federal estate tax, how taxes are assessed on your estate, and the circumstances under which your estate may end up owing estate tax. Frank & Kraft will assist you in using legal tools to effectively reduce your tax burden so you can avoid a large estate tax bill. Greenfield, Indiana elder law attorneys at Frank & Kraft can provide the help and support you need to prepare in case you get sick, to plan ahead in case you need nursing home care, to protect your loved ones when you pass on, and to take the other steps necessary to secure your legacy and ensure your family will be cared for if something happens to you. Don’t wait to get legal help on the issues that elder law attorneys assist with, because you never know when a serious illness or injury will strike and you and your loved ones do not want to be left unprepared. To find out all that Frank & Kraft can do to help you, join us for a free seminar. You can also give us a call at 317-684-1100 or contact us online today if you’re ready to get the personalized help and support you need to plan for a secure future. Call now to get a compassionate advocate on your side to help you get your plans underway for the future.